The Gifted on Fox is a series based on the world of mutants from Marvel Entertainment and takes place in a what's been called an alternate time line where all the X-Men have disappeared or been captured. It's credited to being created by Matt Nix, whose resume includes The Good Guys, Complications and the rather popular TV series, Burn Notice. The series stars Stephen Moyer (True Blood), Amy Acker (Person of Interest, Dollhouse, Angel), Coby Bell (The Game, Burn Notice, Third Watch), Sean Teale, Natalie Alyn Lind (The Goldbergs), Percy Hynes White, Jamie Chung (Once Upon A Time), Blair Redford (Switched at Birth) and other mutant actors.. or actor mutants actually. Moyer and Acker are parents who discover that their kids have some amazing mutant abilities, and in this reality, all mutants are hunted down by what's called Sentinel Services, headed by Coby Bell. As the Strucker parents (Moyer and Acker) find themselves on the run, they seek the help of the mutant underground network that works to protect and hide mutants from the society that does not trust that which is different from them, especially since some mutants tend to be rather explosive or dangerous to those around them, hence, the blanket search and capture mode. Bell plays agent Jace Turner, the lead agent at the Sentinel Services. His motivation is that his young daughter was caught up and killed in a mutant protest that went wrong when one mutant sends out a kill wave. It's bad enough that Turner had motivation, but then he was captured by our mutants for a psychic interrogation and that interrogation wipes the last few years of memories and his pain of losing his daughter has been rekindled. Thus, he's extremely driven to capture all mutants, at any cost, legal or illegal. Bell employs the help of a Dr. Campbell (Garrett Dillahunt), a man whose expertise in mutant matters comes from some questionable experimentation. In the alternate timeline which more or less follows some off-shoot story lines from the comics where the X-Men are gone, we follow this family and a group of mutants who are in hiding and on the run from the govt. The first half of the season was about setting up the characters, learning about their powers, character relationships and situations like the kind of tech the Sentinel Service deploys. Once we got that under our feet, the second half of the season started digging deeper into the relationships and history of some of our primary characters. The pacing for the developing details was a wonderful mix and in stark contrast to crap shows that try to shove all this information down your throat in one fell swoop, or the premiere episode. I found it to be an amazing twist that Reed (Moyer) had to adjust to being a mutant's parent and protector, because when we first meet him, he's a prosecutor who made his living by trying to prove detailing the threats that mutants present to society and jailing them. I've always been a fan of Coby Bell and his role isn't that big of a stretch from what he normally pulls off... law enforcement roles. But the twist of getting his mind wiped and getting more assertive in his pursuit of mutants shows us a newer, edgier side of his talents. The actors that portray the kids (Lind and White) also took some time to get off the ground, but as they develop their characters, and their characters develop their skills, they too get better with time. At least with this show mutants are NOT celebrity heroes to be idolized in film, but rather, people to be afraid of. The public is afraid of mutants who can read their minds, wipe the memories, explode, and what not. And they seem like legitimate concerns. But the processes used to help live with mutants is a horrible, knee-jerk reaction to this new piece of humanity. Then of course, when Reed and family hook up with the mutant underground, there's the initial mistrust between the mutants and this ex-mutant prosecutor. This season, the only powers used are those to defend and fight off the Sentinels. And it's possible that rather than keeping the mutant population tiny, well, it seems to be a bit bigger than I'd think. They don't feel like a rare commodity of the public. What else is interesting that despite this being called an alternate timeline by showrunners, the X-Men are mentioned a few times throughout the first season (as being gone or disappeared), which for me, opens the door to pulling the Gifted back into the main time streamline somehow, since at least, the X-Men did exist here. Or at least, have some kind of parallel story line that feels meshed up with the more common perception of the X-Men film/TV universe. We've heard tell of potential guest starring roles of popular X-Men, but I think that's the standard lip-service production gives fans when they start asking the obvious questions. But I'd love to be wrong. Just once. 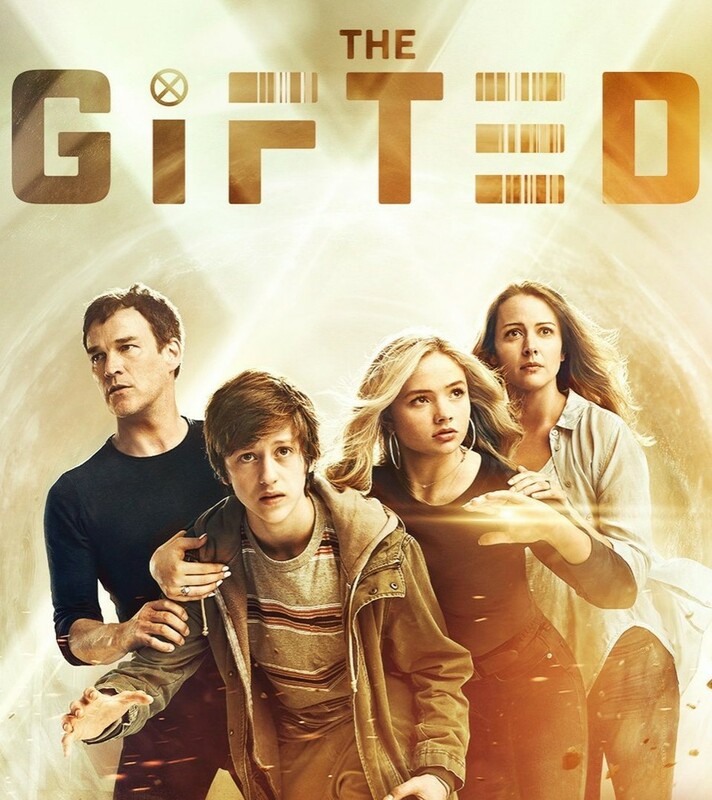 The show focuses on survival of gifted humans, trying to figure out how to stay safe from a screwed up society while playing their part in the community. Right now, it's about being on the run and hiding. I'm not sure where it will go from here though, but it's early in it's TV run, so they have options. Plus, with Nix at the helm, I'm sure he'll take the story down a good path. He did great with an ex-spy for several years, in Burn Notice, so I have hope. The show streams on Fox's website and will, sooner or later, probably disappear into the depths of Hulu's exclusive (and restrictive) streaming. So if you want to catch this show, record the repeats or get on Fox's website soon! The show got a 72% on Rotten Tomatoes and 7.7 out of 10 on IMDb.